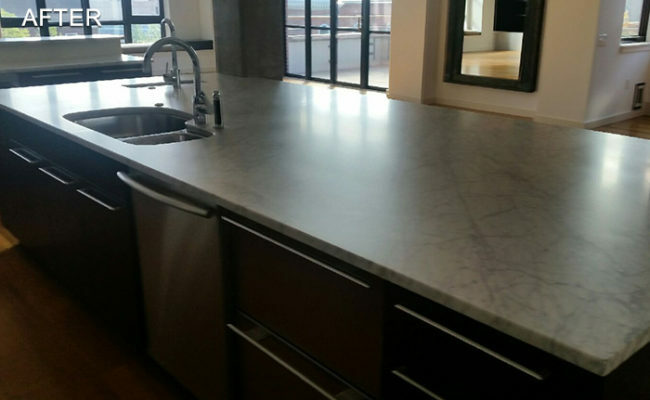 In a Philadelphia, PA condominium, there was a badly etched and scratched marble countertop in need of some professional restoration. The new homeowners wanted to erase the signs of use from previous homeowners (see the BEFORE image) in this high-traffic kitchen and restore the beautiful honed finish. 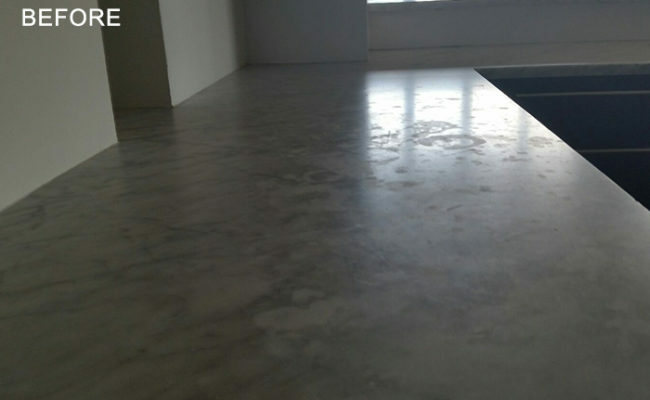 Our technicians refinished the marble by sanding away the damage using our unique diamond abrasive system. Then they used a special blend of honing powders to restore the velvety honed finish, as you can see in the AFTER images. Notice how no more damage appears in the light reflection. 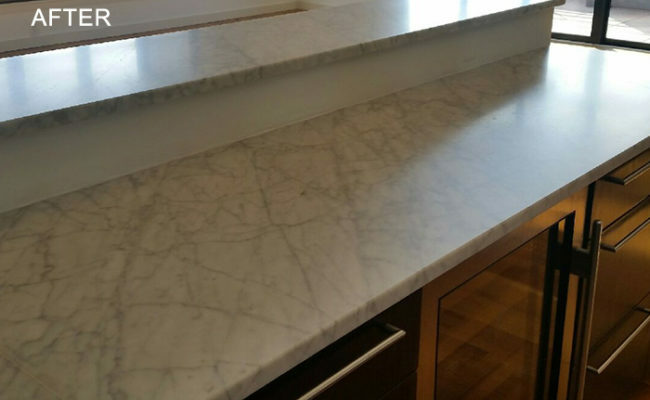 Even though marble is not the ideal choice of stone for a kitchen countertop because it is a soft stone and etches very easily (i.e. it is susceptible to acid damage), with proper care, it does look beautiful. 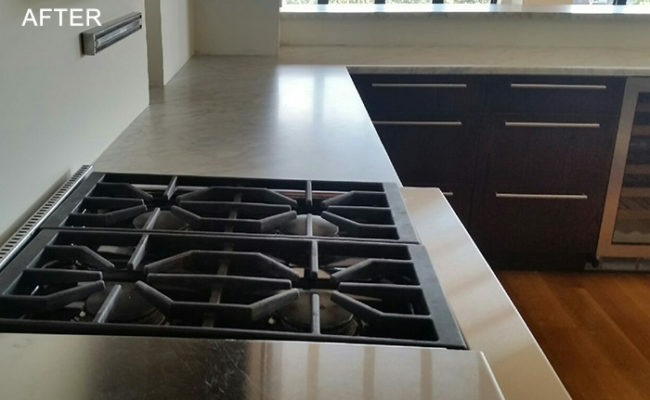 We recommended the homeowners use stone-safe cleaning products and consider regularly scheduled maintenance to keep the countertops looking great all the time.